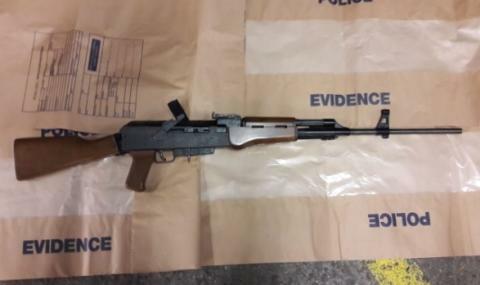 Officers have seized an assault rifle following a vehicle stop in south London. At about 17:00hrs on Thursday 7 March, officers from the Trident and Area Crime Command and armed response vehicles stopped two vehicles in Peckham, south London. Officers recovered an Armi Jaegar AP80 .22 rifle with a loaded magazine from the boot of one of the vehicles. 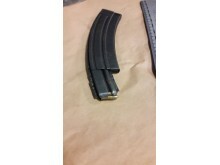 This is believed to be a fully automatic assault rifle. 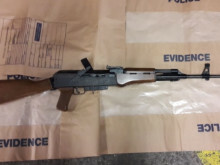 Two males, aged [A] 50 and [B] 77, were arrested on suspicion of possession of a firearm and ammunition with intent to endanger life. The 50-year-old resisted arrest; a taser was deployed and discharged by armed officers. He was treated for minor injuries in hospital and has since been released and taken into custody. [B] also remains in custody at a local police station.